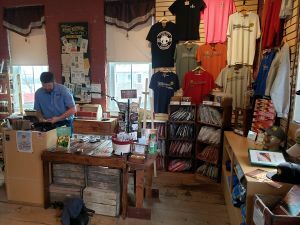 Washington, Missouri has long been known as the "Corn Cob Pipe Capital of the World." 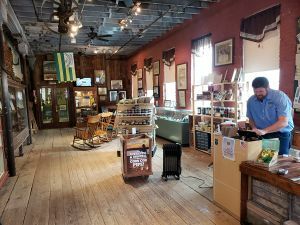 It was the Missouri Meerschaum Company, still the world's oldest and largest manufacturer of the cool, sweet-smelling corn cob pipes, that began the tradition for which Washington became famous. 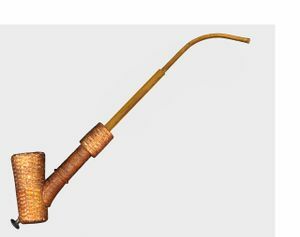 In 1869 Henry Tibbe, a Dutch immigrant woodworker, first began production of the corn cob pipe. Legend has it that a local farmer whittled a pipe out of corn cob and liked it so much he asked Henry Tibbe to try turning some on his lathe. 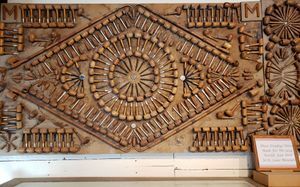 The farmer was well-pleased with his pipes so Henry made a few more and put them for sale in his shop. They proved to be such a fast selling item that soon Tibbe spent more time making pipes for his customers than working with wood. 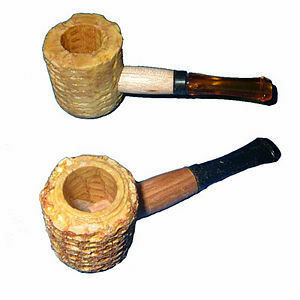 Soon Tibbe went into full time production of corn cob pipes. 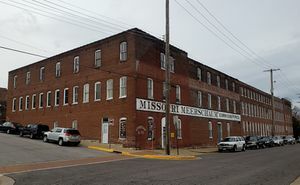 In 1907, the H. Tibbe & Son Co. became the Missouri Meerschaum Company. The word Meerschaum is taken from a German word that means "sea foam". It is a Turkish clay used in high grade pipes. 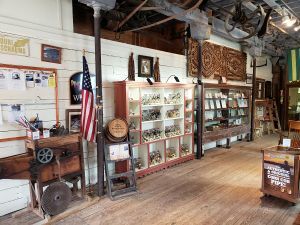 Tibbe likened his light, porous pipes and their cool smoke to that of the more expensive meerschaum pipes and coined the name "Missouri Meerschaum" for his pipes. Tibbe and a chemist friend devised an innovative system of applying a plaster-based substance to the outside of the corn cob bowls. In 1878, Tibbe patented this process. A nationwide distribution system was established for the sale of his pipes. Other pipe firms also developed; by 1925 there were as many as a dozen corn cob pipe companies in Franklin County, most of them in Washington. Today, Missouri Meerschaum stands alone as the first and only surviving piece of the living history. These gentle pipes are smoked and loved all over the world as well as being used as souvenirs, often imprinted with the name of the city, business or event. 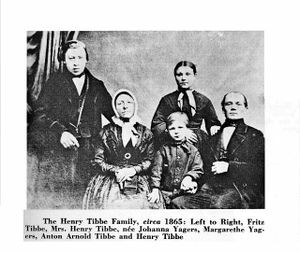 Great article from the Missouri Historical Review on Henry Tibbe. 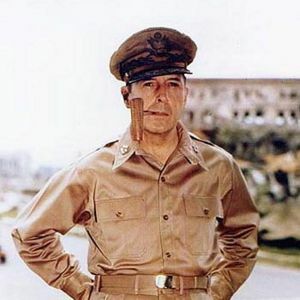 This page was last edited on 24 March 2019, at 17:36.